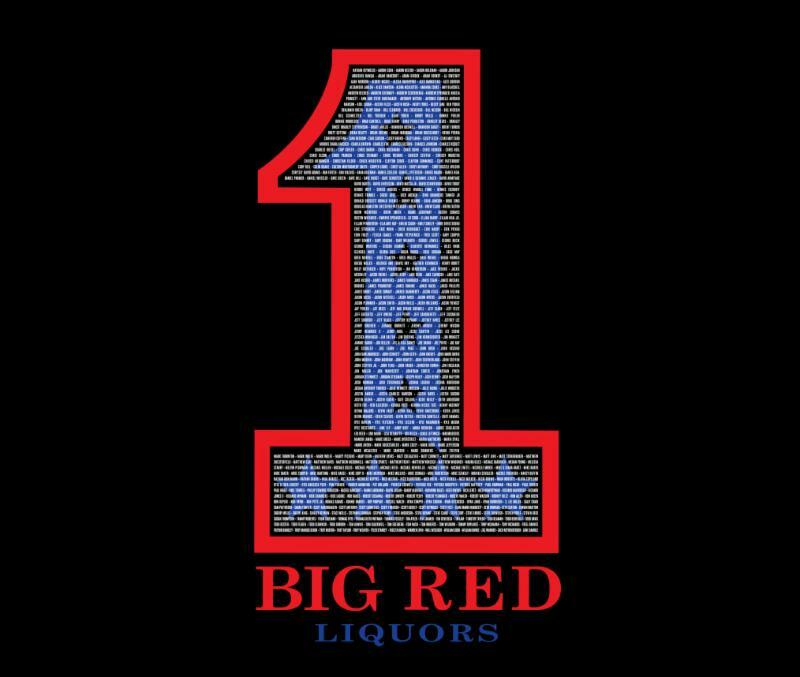 - Indiana's largest beer, wine, and spirits retailer, Big Red Liquors, is celebrating the Month of May by adding the names of its best customers to their logo on the side of Verizon IndyCar Series driver Jay Howard's No. 7 One Cure Schmidt Peterson Motorsports Honda. Howard will meet the 500+ customers selected during a special store event on May 21 at 6:00 p.m. at Big Red Liquors Cask Strength in Greenwood. "The idea started a year ago when we put our VIP customer's names on a bourbon label, and everyone loved it," said Matt Colglazier, VP of Merchandising for Big Red Liquors. "When our owner, a close friend of Jay [Howard] told us about this year's sponsorship we thought it would be a natural fit. Why not include our best customer's names in the shape of the Big Red logo on Jay's car?" For lifetime IndyCar fan and Big Red customer Steve Hauser it is a once in a lifetime experience. "I've been coming to the track every May since I was a kid, but never in my wildest dreams did I think my name would be on an Indy car," said Hauser. Although motorsports is often about big dollar sponsorships, it can also be about personal relationships. Mark McAlister, Big Red's owner since 1972, has also been a lifelong race fan. Having befriended Jay through his wife Courtney, a local spirits rep, many years ago, McAlister's interest eventually lead to a sponsorship opportunity, which has now been extended to the Big Red family of customers. "We don't exist without our customers," stated Big Red Liquors President Don Rix. "Whenever we get a chance to involve them in something we're doing, including sponsorships, we get excited," stated Rix. "With one store firmly established in Speedway, and another on the way it's a natural fit to support the greatest sporting event in the country." Big Red Liquors VIPs were asked to voluntarily submit their names for imprint within the Big Red logo on Jay Howard's livery. No purchase was necessary to participate. Jay Howard is a professional racecar driver in the VERIZON IndyCar Series and Indianapolis 500. The 36-year-old British racing driver and a former Firestone Indy Lights Series champion qualified for his first Indianapolis 500 in 2011 and plans to quality for this third Indy 500 this May 2018. Howard won the Firestone Indy Lights championship in 2006, an essential step into the top-level of open-wheel racing. A popular fixture at key karting classics across the country, Howard has finished first or second every year he has entered the annual PRI Show All Stars of Karting event and trains up-and-coming future stars through his Motorsport Driver Development team as well as his engine-building business, Ogden Race Engines, which he owns with his dad Paul. Howard resides in Indianapolis with his wife Courtney, whom he married in 2011, with their son Hudson, and their English bulldog, Arthur. For more on Jay Howard, please visit www.JayHoward.com. Established in 2001 and owned by former IndyCar driver Sam Schmidt and Canadian businessman Ric Peterson, Schmidt Peterson Motorsports (SPM) currently competes in the Verizon IndyCar Series. With a storied history in the Indy Lights presented by Cooper Tires series with over 70 wins, over 70 pole positions and seven championship wins, the Indianapolis-based team has also found success in IndyCar with five wins, two Indianapolis 500 pole positions and five poles claimed overall, as well as three top-five finishes in the championship points standings. For more information, please visit www.spmindycar.com. Founded in 1972 in Bloomington, Indiana, and still locally owned, Big Red Liquors, Inc. is Indiana's largest beer, wine, and spirits package retailer, and operates 58 stores in Indianapolis, Bloomington and Terre Haute. www.bigredliquors.com.